Adham was waiting for the opportunities Abdel-Fattah Hassan had promised him to materialise. Unfortunately, the director died before presenting his new discovery to the cinema. Adham went to the actor and director Anwar Wagdi who was curt, stressing that he wasn’t suitable for acting except in front of a mirror. The handsome youth, who was an athlete, decided to move into dancing through his lifetime friend Ali Reda, co-founder of the Reda Folkloric Dancing Troupe, at the same time as working in the Cotton Stock Exchange in Alexandria. He met director Ahmed Diaa-Eldin, who was about to shoot A Queer Girl and Am I Mad? (both 1964) and decided to cast Adham in the two films since he believed in his talent. At last, Adham’s wish was granted almost 14 years after Anwar Wagdi killed it in the cradle. 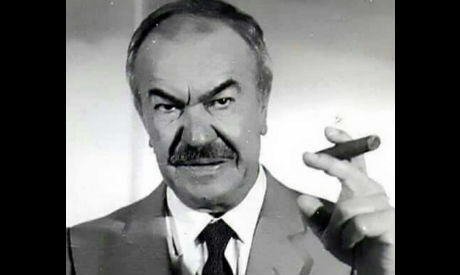 In that year, Niazi Mostafa also cast him along with the most famous actor at the time, Farid Shawqi, in The Spy. Thus, this strong beginning made for a significant push in Adham’s cinematic career. But the most important point was that Adham began to know the screen persona that suits him most: the light-hearted villain.